Net lease capitalization rate (which is popularly shortened to simply, net lease cap rate) is a calculation used to measure the expected investment return on a net lease property investment. 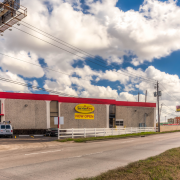 Cap rate is expressed as a percentage and is used to demonstrate how much of a return that an investor can expect on a net lease property, specifically over the first year of ownership. This post will explain how net lease cap rates are calculated and provide you with insight into how you can determine what those cap rates mean for your net lease property investment. The first calculation tends to be more popular, because the second can arguably be rather inaccurate if the purchase price used is less than current market value due to being purchased decades earlier or being acquired as an inheritance. 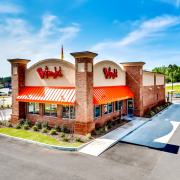 Net lease cap rate calculation typically uses the first formula leveraging the current market value of the property as the denominator. 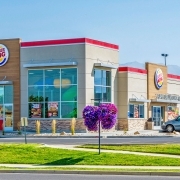 When calculating net lease cap rates, any costs that are attributed to the property owner in the net lease detail will be deducted from the estimated NOI, but since most operating expenses are typically passed through to tenants the NOI will be a sum of all the rent payments expected from a tenant over the course of the year. Currently, net lease cap rates range anywhere from 4.00% to 7.00%, based on a number of variables including location and market size. 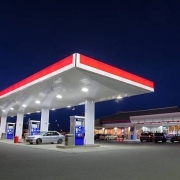 However, on average, most net lease cap rates tend to be somewhere between 4.80% and 5.25%. 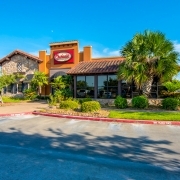 While cap rates are considered a universal measure of return potential in net lease real estate, two very different properties could very well calculate at the same cap percentage but have very different parameters and investment considerations that help determine just how lucrative the investment will be for a unique investor. 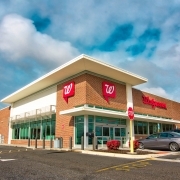 Strong cap rates indicate high-reward investment return potential and property types such as convenience stores, grocery stores, dollar stores, entertainment venues and medical facilities tend to have the best cap rates at the moment. Location and anchor tenant proximity also factor into cap rates, because more attractive locations drive up the amount of rent you can charge on your property. So a dollar store located in a high traffic corner location that’s easily accessible and close to other established businesses will likely have a higher cap rate than a property with less ideal location markers. 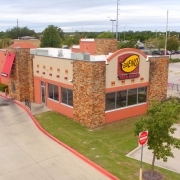 A triple net lease property in a smaller market, however, that services many people in that community can also be marked by a high cap rate. These types of investments are typically solid in the long-term and will continue to perform well despite economic shifts or market changes. 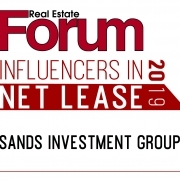 Sands Investment Group has extensive expertise with net lease real estate and we know exactly how to advise clients on the best way to determine what cap rates truly mean on a triple net investment property. In fact, we’re the fastest growing net lease investment company in America, with over 1,700 transactions in 48 states (to the tune of $4 Billion) since 2010, so we know what deals will turn your best profit and what cap rates really mean based on other market trends and location. Want to learn more about NNN properties for sale and speak with an industry expert about current cap rates for your NNN property investment? Get in touch with an expert today by calling 844.4.SIG.NNN or sending us an email at info@SIGnnn.com.